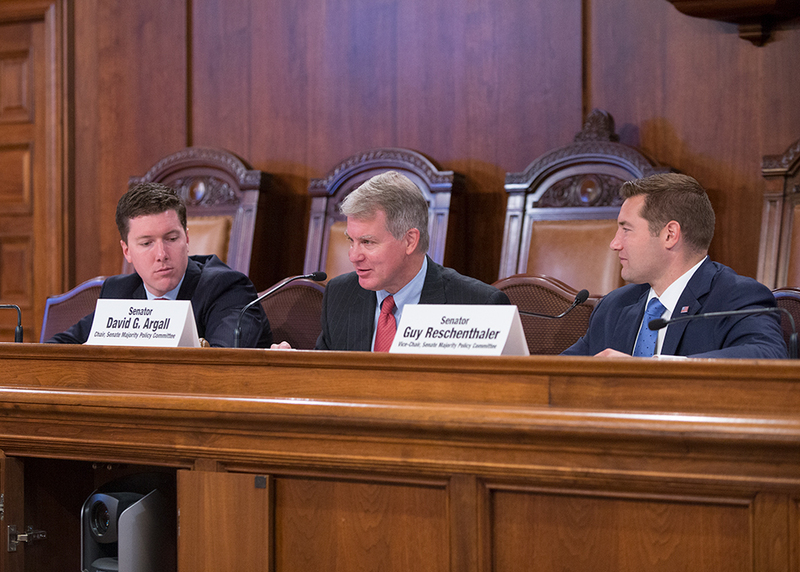 HARRISBURG – Leaders from the state’s largest student financial aid servicer and higher education institutions provided members of the Senate Majority Policy Committee and the Senate Education Committee with proposals to better educate the public on student loans during a public hearing held at the state Capitol Monday morning. 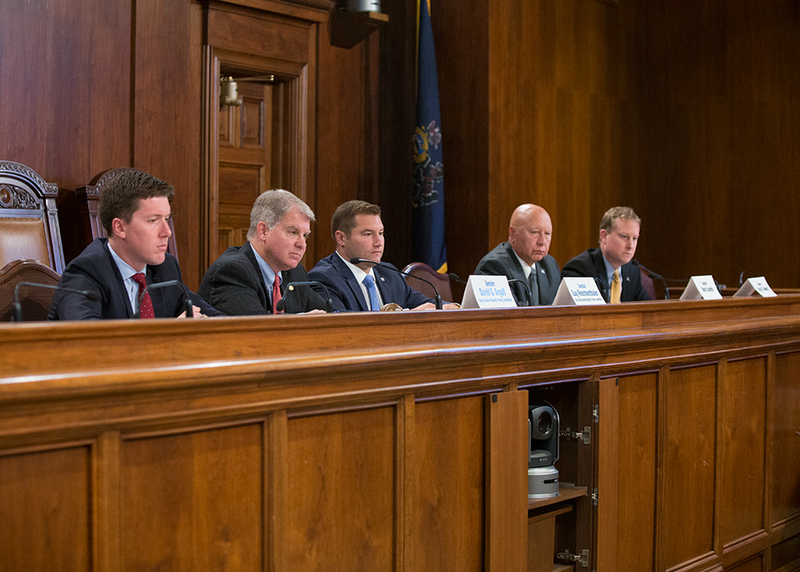 The hearing was held at the request of Senate Majority Policy Committee Vice Chairman Guy Reschenthaler (R-Allegheny/Washington). Senator Reschenthaler’s interest came after researching laws in Indiana and Nebraska that require higher-education institutions to disclose specific information regarding their current and projected student debt. 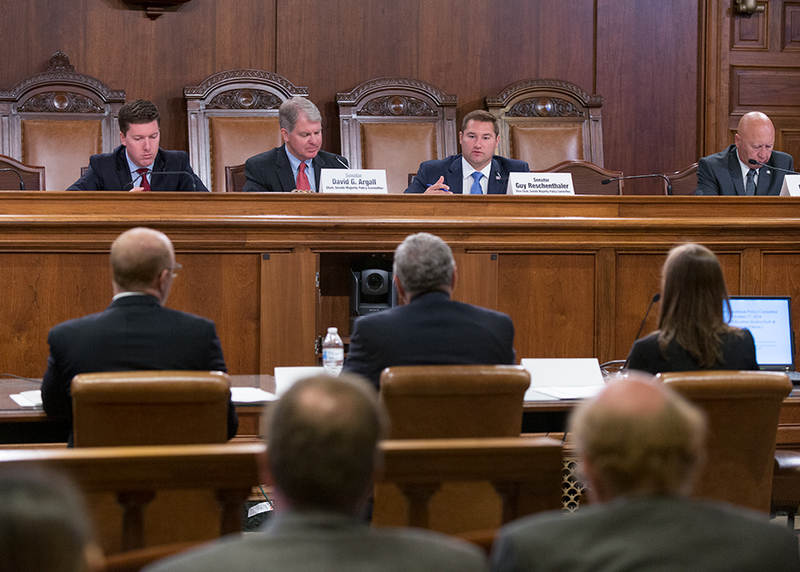 During his testimony, Jim Preston, President and CEO of the Pennsylvania Higher Education Assistance Agency, noted that online tools provide greater transparency for current and prospective students. “MySmartBorrowing.org provides unique estimators that help determine a student’s possible higher education costs at different schools, future salary expectations for a particular degree, availability of employment opportunities, and their potential ability to repay loans comfortably while also affording an independent lifestyle after graduation,” Preston testified. According to Preston, Pennsylvania has the third-highest student loan debt levels among graduates. Brad L. Yeckley, who serves as the Assistant Director of Financial Literacy for Penn State, noted that Penn State is trending in the right direction with students defaulting on student loans with a 4.9 percent rate in 2013. The national average is 11.3 percent. “Completing a four year degree in four years does in fact reduce student loan debt,” Yeckley said. Senator Ryan Aument (R-Lancaster) said the key to save money is to graduate in four years. Penn State is also pioneering one-on-one personal finance sessions with students majoring in Finance who are trained as peer educators in financial literacy. 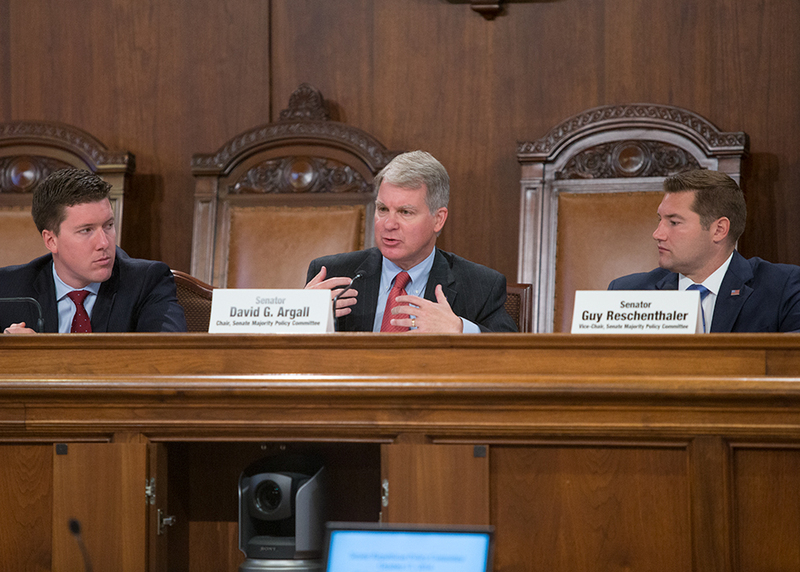 Randall L. McCready, Director of Financial Aid for the University of Pittsburgh, testified that the university also bests the national average for graduates in default with a rate of 3.84 percent. However, the issue of accumulating high student loan debt starts with educating prospective college students at a young age. Citing default rates, Lincoln University noted they’ve made steps to improve their average. Three years ago, roughly a quarter of former students were in default with their student loans. However, that has improved to 19.5 percent. Temple University’s David Glezerman, Assistant Vice President and Bursar, noted that the university improved its average time to graduate from 4.51 years in 2010 to 4.36 years in 2016. Approximately 4.5 – 5 percent of former Temple University students are in default. Pennsylvania is the second-largest private college state in the country, according to Mary Young, Vice President of Government Relations for the Association of Independent Colleges and Universities of Pennsylvania. Her association accounts consists of 290,000 students, or more than 40 percent of the students going to college in Pennsylvania. 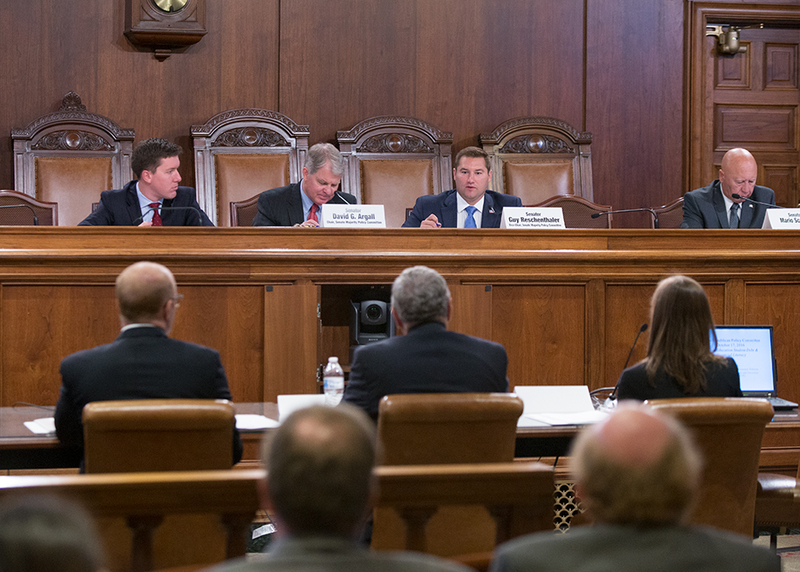 During her testimony, Young highlighted that Pennsylvania was better than the national average for default rates when it comes to four-year public institutions (PA at 6 percent; national at 7.3 percent), four-year private institutions (PA at 4.8 percent; national at 6.5 percent) and community colleges (PA at 15.7 percent; national at 18.5 percent). Only for-profit schools in Pennsylvania have a higher default rate (15.7 percent) than the national average (15 percent). According to a study on student debt by College Board in 2014, 39 percent of student loan borrowers had debt below $10,000. Only 4 percent of borrowers accrued debt over $100,000, while 28 percent of former students had debt between $10,000 and $25,000. Eighteen percent of borrowers had debt between $25,000 and $50,000. Only 10 percent of borrowers had debt between $50,000 and $100,000. Representing the 14 state-owned universities, Pennsylvania’s State System of Higher Education (PASSHE) cited a Pew Charitable Trust article regarding student loan debt notification. When students enrolled at Indiana University received a letter informing them of the financial impact of their student loans, student borrowing reduced by 18 percent. PASSHE noted that students graduating from the system have a higher debt load than the national average, but the default rate on those loans is significantly lower than the state and national average. The state’s 14 community colleges are the largest provider of public post-secondary education in the state. Dr. Nicholas C. Neupauer, President of Butler County Community College (BCCC), highlighted that 418,000 students are currently enrolled in community colleges across the state. Citing statistics at BCCC, 70 percent of their graduates in May of 2015 graduated debt-free. He cited creative ways colleges work with the community to provide affordable post-secondary education options for students and parents. “Lehigh Carbon Community College has had a privately-funded promise scholarship for graduates of the Tamaqua Area School District since 2002,” he said. Despite the negative headlines about student loan debt, Young reemphasized that a degree can pay significant dividends in the future. “In other words, unlike consumer loans, student loans are an investment in your future and can pay big dividends (on average $1 million more in lifetime earnings than those with a high school education.) However, like all borrowing, it must be done wisely,” Young said. Video and testimony from the hearing is available online.